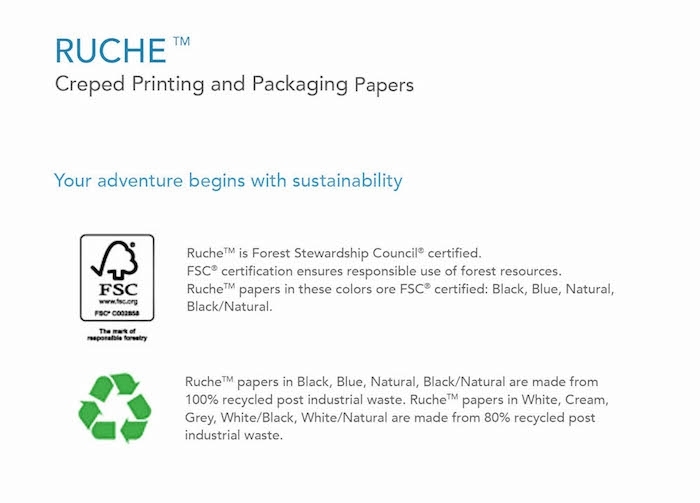 Handcrafted tradition meets papermaking innovation to create Ruche™, a new and wholly unique family of highly tactile creped printing and packaging papers. 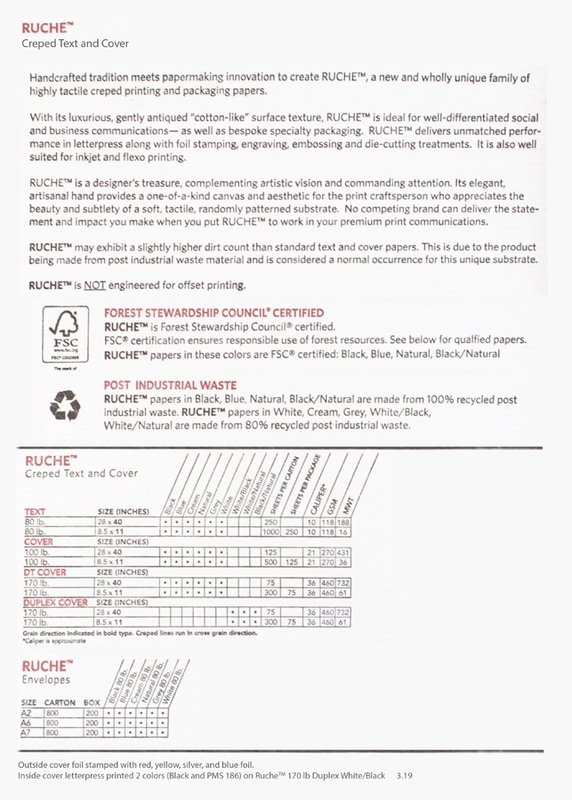 With its luxurious, gently antiqued “cotton-like” surface texture, Ruche is ideal for well-differentiated social and business communications— as well as bespoke specialty packaging. 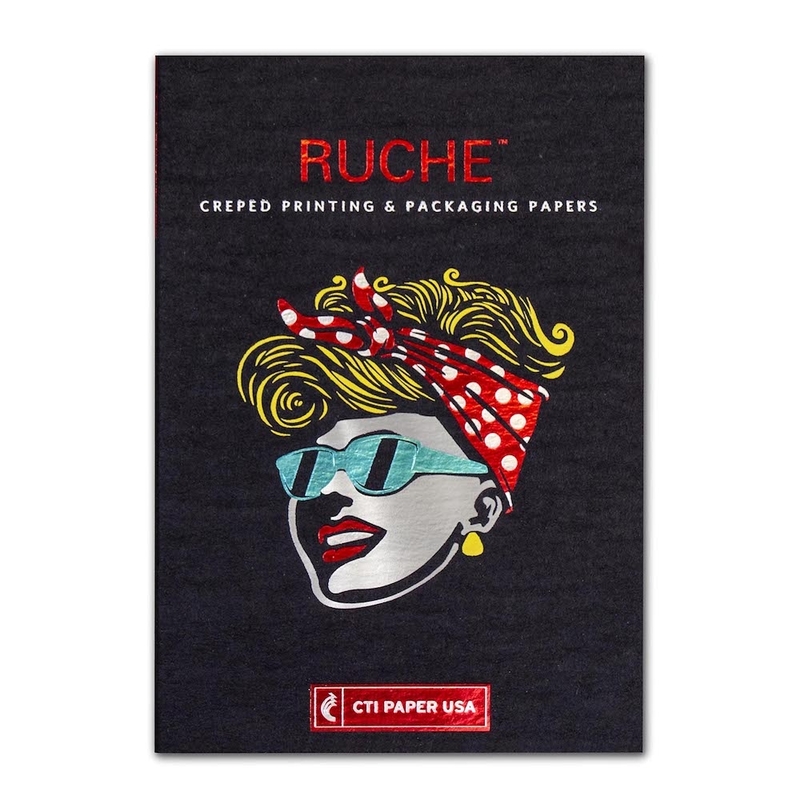 Ruche delivers unmatched performance in letterpress along with foil stamping, engraving, embossing and die-cutting treatments. 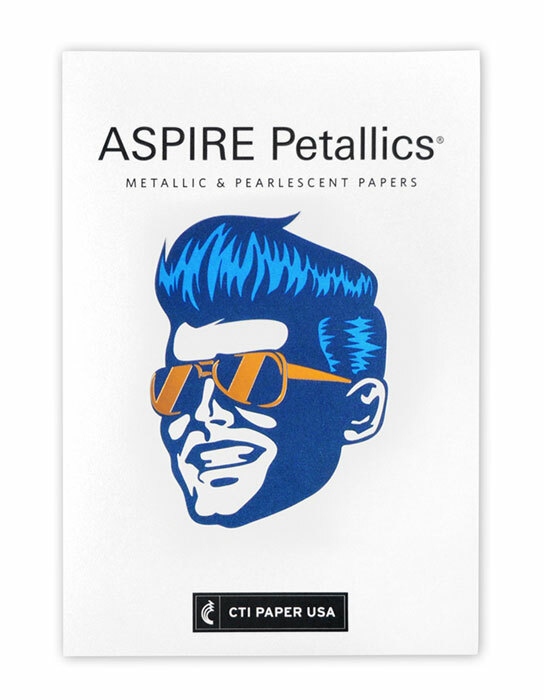 It is also well suited for inkjet and flexo printing. Ruche is a designer’s treasure, complementing artistic vision and commanding attention. Its elegant, artisanal hand provides a one-of-a-kind canvas and aesthetic for the print craftsperson who appreciates the beauty and subtlety of a soft, tactile, randomly patterned substrate. No competing brand can deliver the statement and impact you make when you put Ruche to work in your premium print communications.